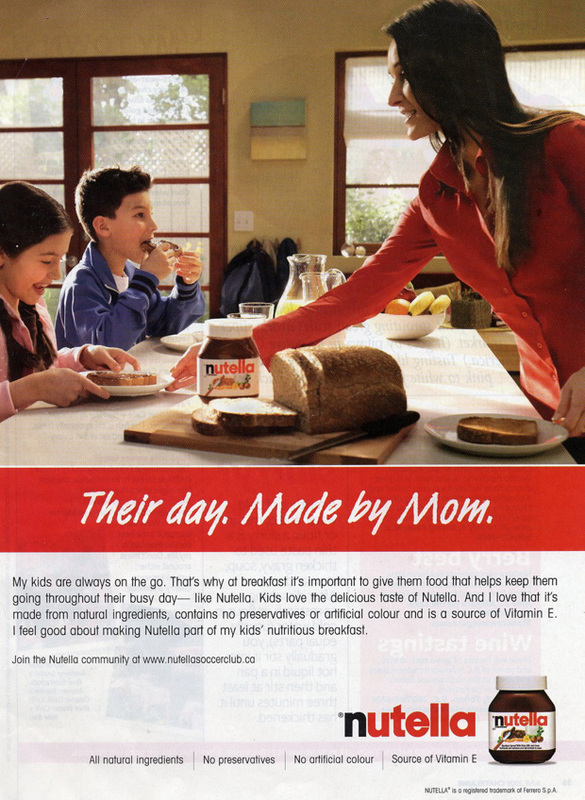 If I asked you what kind of associations you had about Nutella, the sweet and gooey spread, oh so full of calories? Maybe you'd remember how you indulged in Nutella when you were a kid. How much fun it is for your kids. That it's an occasional treat you'd give your kids after they've eaten their dinner. But my guess is that very few of you would refer to this product as "healthy and nutritious." Fruit and vegetables are healthy and nutritious, but sugar-packed sweet spread? Not really, even if it's made from "natural ingredients" as the ad in this blog post states. In fact, I think that the extent to which it is "natural" is not the main reason why people buy it. We buy it because it's fun, period. And there's actually nothing wrong with being all about fun. So, why did Ferrero (the company which owns the Nutella brand) choose to communicate something so different in its recent advertising campaign? And, as a result, went through a class action suit, having to compensate $3 mln for stating false claims about the product? There may be many reasons to it, but the one that comes to my mind is that people at Ferrero simply forgot what the brand of Nutella is all about. They temporarily forgot its positioning. Finding the most advantageous brand positioning is like building a good, solid foundation for your house. I do a lot of work on positioning with startups and small companies, as well as with bigger companies which are in the process of changing something -- be it their visual identity, or business strategy. Big companies, too, should regularly check if their foundation is still solid. If it's still what it used to be, and if it holds the house properly. For big, established brands, even small tweaks in positioning should never happen without rethinking the whole of the brand strategy, and possibly, changing the product itself. If you have the slightest doubt whether your positioning truly reflects your main brand values, my tip to you is, stop and rethink it. Don't advertise just yet.